Now, one call can handle all of your shipping needs; local, regional, or LTL going across the country. Express 2000, Inc. is a provider of freight service and distribution solutions to a wide variety of companies and industries. 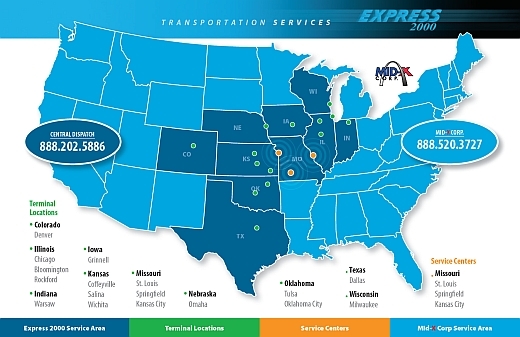 Express 2000 offers Less than truck load (LTL) services throughout the central portion of the United States and to all points in Canada utilizing it's own equipment and infrastructure and exclusive partners. Mid-X corporation provides logistics solutions that range from full truckloads and brokerage, to warehousing and distribution. 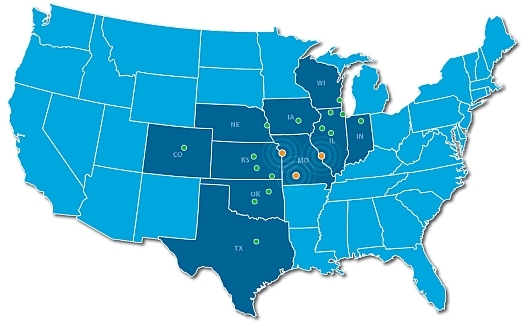 These services are provided by 300 employees and associates located at 20 facilites in the United States and 700 associates located at 14 facilites in Canada.